A leak on Weibo claims that the Galaxy S10 lineup will consist of 4 versions of the phone rather than the usual 2. One of these will be a 5G variant - with 12GB RAM. The Weibo poster also believes that the Huawei P30 Pro will have this spec. The Galaxy S10 line should be released in the early part of next year. It is rumored that this phone may arrive with features such as Samsung's first flagship triple camera module and an in- or under-display fingerprint reader. A new leak from Weibo also suggests that the phone - or one version of it, rather - will also define the new limits of smartphone RAM. 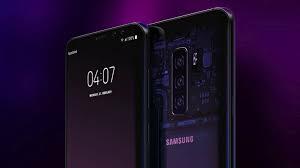 The leak alleges that there will be four spec SKUs of the Galaxy S10: the base model; the S10 Plus; the S10 X and the S10 X 5G. The 'S10 X' will offer a fairly conventional 8GB of RAM. If that wasn't 2019 enough for you though, the 'X 5G' is supposed to pack 12GB of memory into its form factor. Furthermore, the Weibo tipster believes that the Huawei P20 Pro's immediate successor will do the same. Currently, a 12GB RAM module (needed by no app ever) could only function as a source of bragging rights. It could also be a way for Samsung (and Huawei) to generate the revenue necessary to compete with the likes of Apple. However, even as the translated posts on the subject imply, these prices would be extremely restrictive to the majority of consumers.